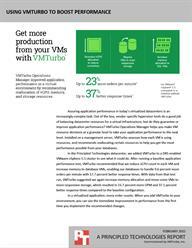 DURHAM, NC--(Marketwired - March 27, 2015) - Principled Technologies added VMTurbo to a VMware vSphere 5.5 cluster to see how it could help improve resource allocation. 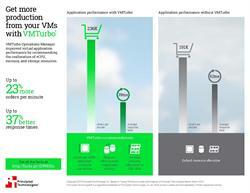 We saw an immediate improvement in performance when we implemented VMTurbo's recommended changes. 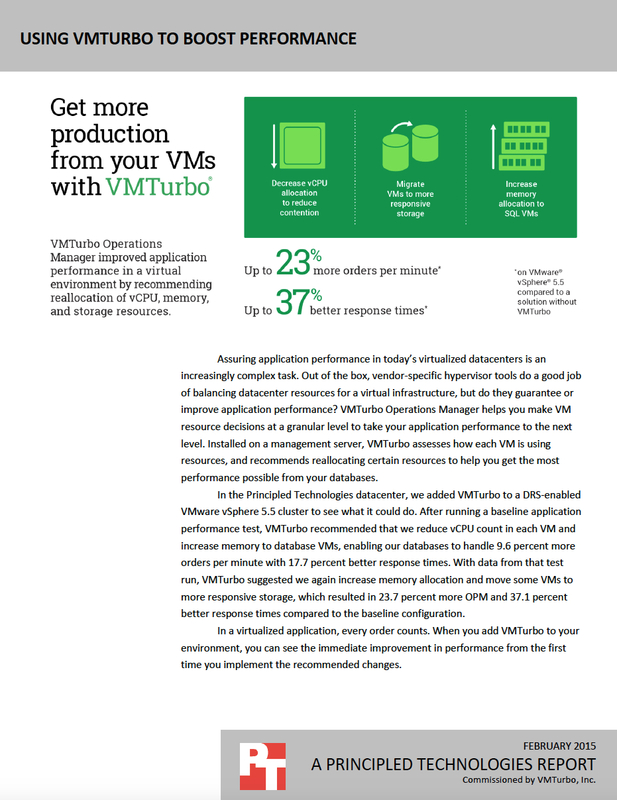 Adding VMTurbo to your infrastructure could help you process more orders in less time. 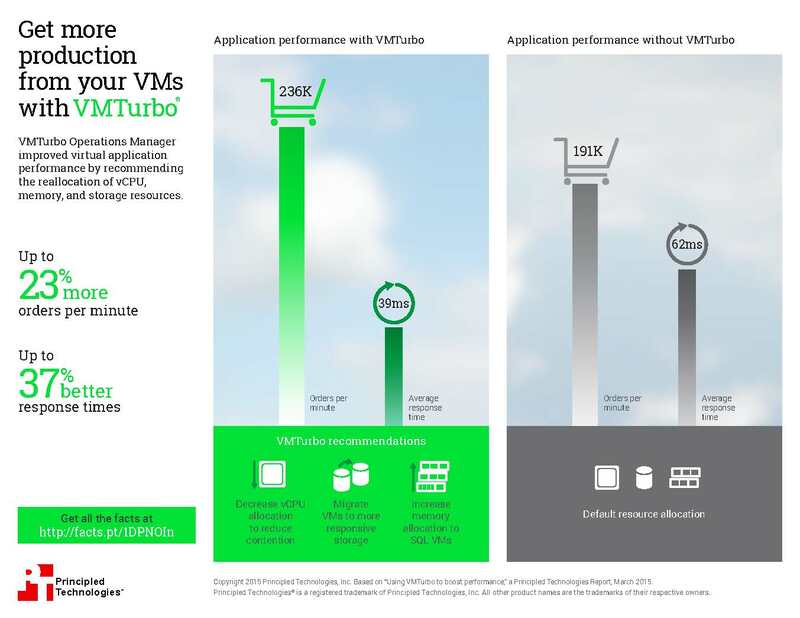 To find out how VMTurbo can help you avoid the pitfalls of poorly allocated resources, read the report at facts.pt/1DPNOIn and see the infographic at facts.pt/1FTrPzk.